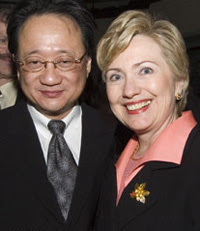 Hillery and mega $ (illegal) campaign donor, Norman Hsu. Egads!!!! Put on the sunglasses.